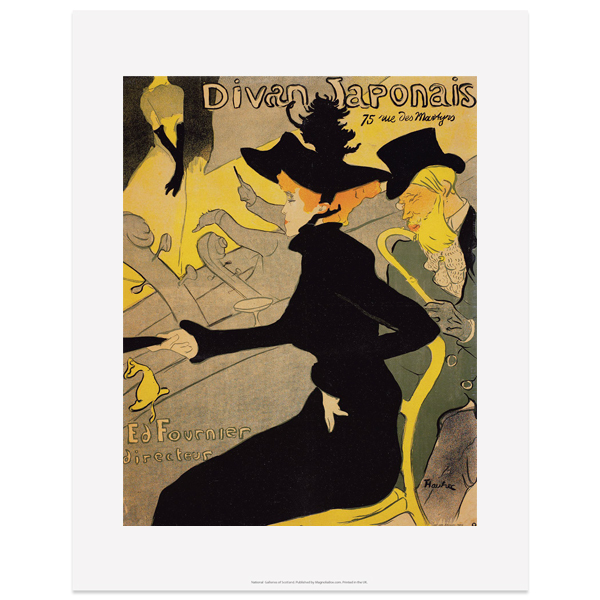 This is a reproduction of a lithograph poster made by Henri de Toulouse-Lautrec to advertise le Divan Japonais, a popular venue in Paris. The image depicts the famous dancer Jane Avril in the audience with her husband, the writer Edouard Dejardin. They are enjoying a performance by Yvette Guilbert.